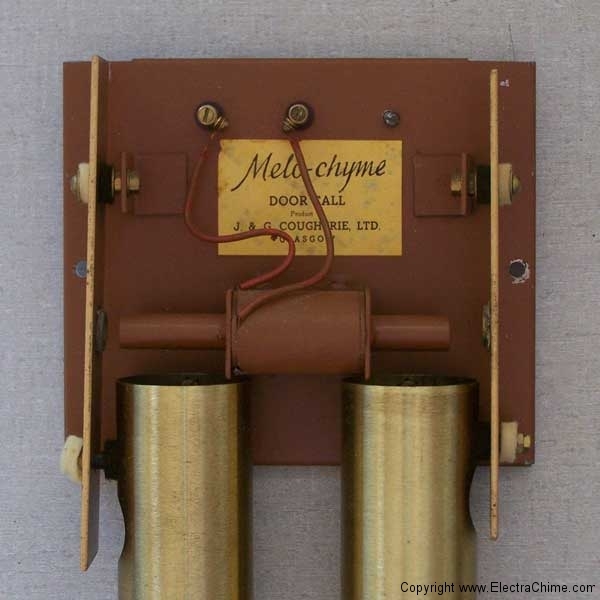 This vintage doorbell, The Melo-chyme was manufactured in Scotland. 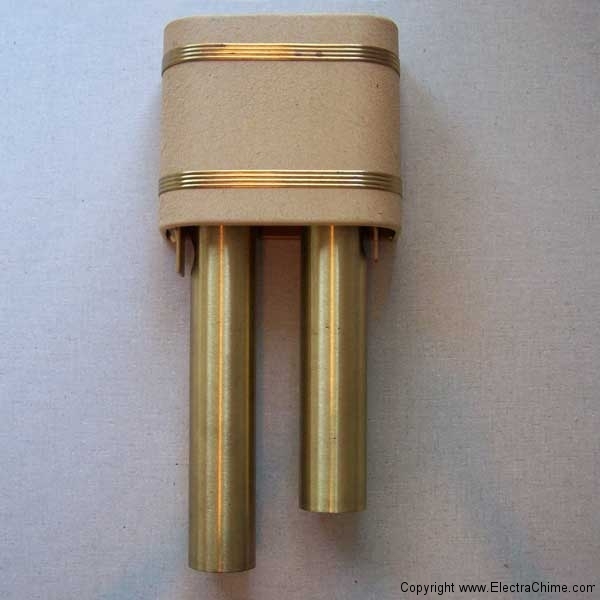 The chime is described as “An Ultra Modern sweet-toned door call.” This door chime is fairly typical of then modern door chimes. 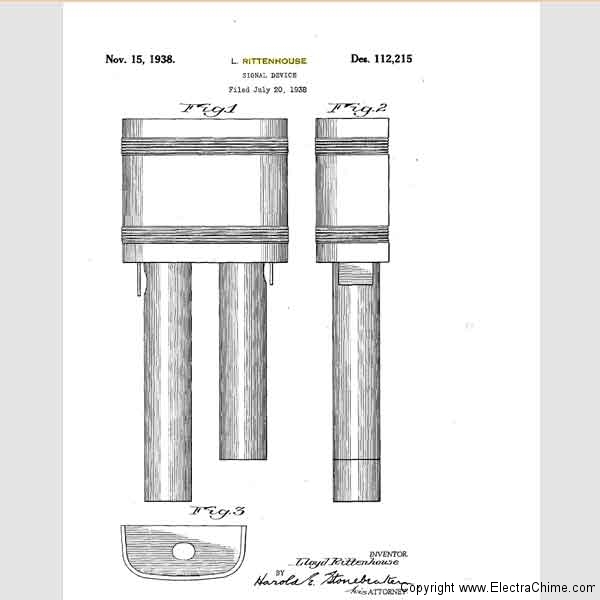 One difference from many door chimes of contemporary American manufacture was the Mello-chyme had a facility for only a single door (ding-dong) as opposed to a front and rear or side door. Coughtree International is in business to this day and the following statement on their website suggests this was manufactured after World War 2. Over its long history Coughtree has evolved, from making parts for the war effort then bells and buzzers, and now durable lighting. The physical appearance of this chyme is identical to a design patented by Lloyd Rittenhouse in 1938 and marketed as the Rittenhouse Sentinel. This suggests this model was manufactured under license from Rittenhouse and adapted for the British Market. 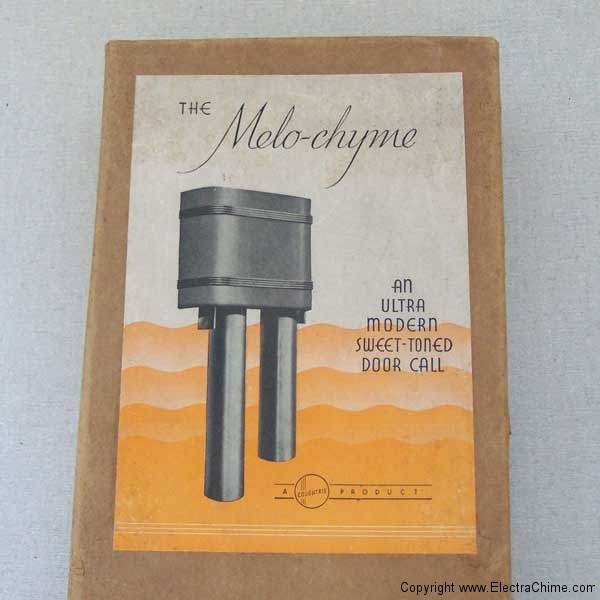 Coughtree marketed this doorbell as the Melo-chyme to avoid conflict with Mellochime, although the similarity in name would certainly have added at least some confusion in markets where both brands were sold. Materials Painted metal case with textured paint, brass ornament, brass resonators, Iron tone bars.